Alright sans is designed by Jackson Cavanaugh. 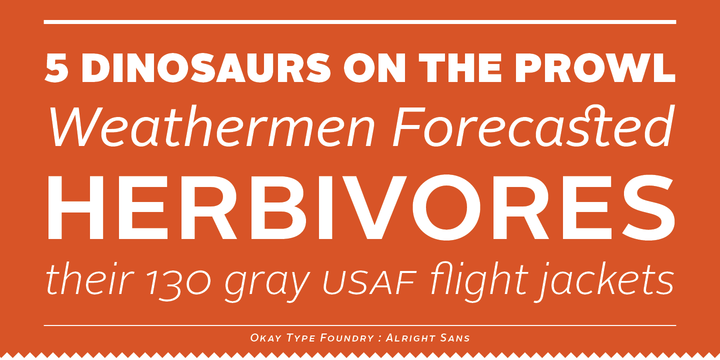 Alright sans font is a contemporary sans serif. This font is very clean and with a friendly tone. It works exceptionally well across media and at reduced sizes, also have an open aperture.